Lots of random small talk today. How about housekeeping? As in cleaning out the garden, getting ready for fall, and cleaning up my web pages. 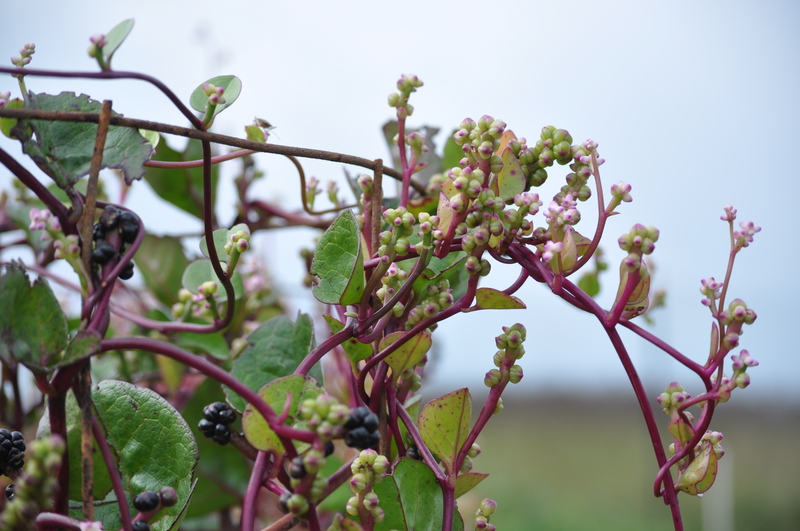 The Malabar spinach is going to seed. The big question is whether I will save seeds and replant in the spring. I didn’t use much of it. It did act as a very strong pollinator attracter though. Well, so did the basil. 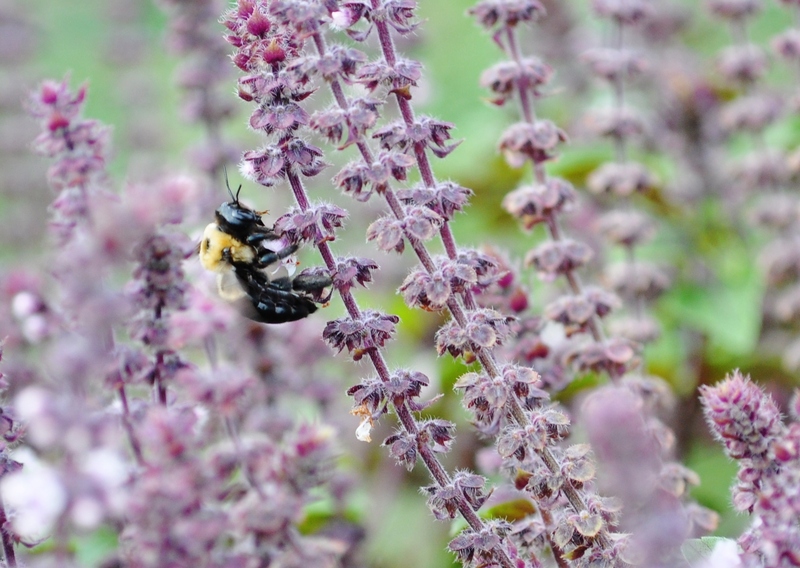 I imagine that the Conservancy bees got lots of pollen from the basil in the garden. Some days it was covered in honey bees. 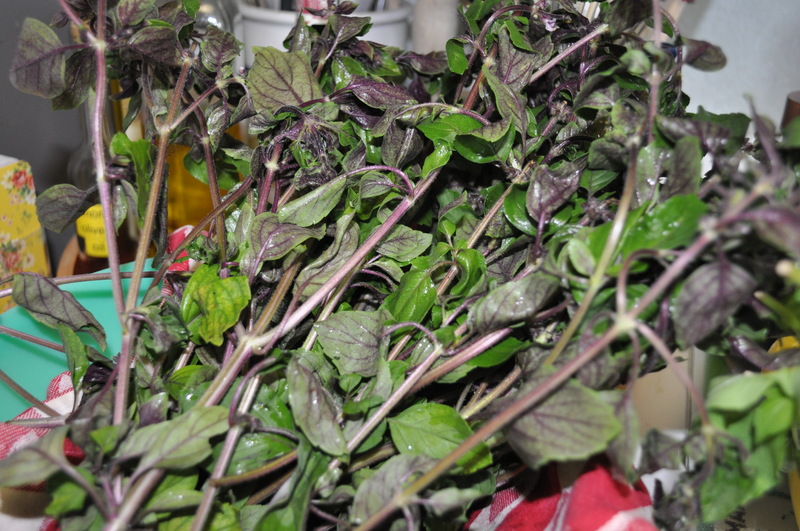 Sometime this weekend I will be harvesting all the basil and there will be a pesto making marathon in my kitchen. I hit Whole Foods Sunday morning to get almonds and Parmigiano Reggiano for my pesto. Go early before the breakfast crowd shows up. It is almost time to plant the garlic. I have about two dozen cloves ready to go into my back yard garden. Once the trees start dropping leaves, they will get enough sun all winter and spring to grow and be harvested in early summer. We are completely reconfiguring the Conservancy community garden plot. There will be four large squares instead of four rows. One for herbs. One for tomatoes. One for peppers, leeks, shallots and onions. And, one for everything else. I did plant some arugula and lettuce for fall. We learned quite a bit this year. Keep the onions away from the corner where the hoses are. The excess water rotted a few of my onions. Put paths around the outside. It keeps down on weed infiltration. More on gardening in the near future. Let’s now turn to the other trivial things I have done. I updated a few items on my pages. Adding a couple of blogs I read. Making sure the farm page is up to date. Checking that I didn’t forget anything on my food preservation page. I still need to update my local resources, and to add my new page, still in draft, on HOCOBIZ. This will be my page that highlights small businesses in the area where I find really good service. These businesses are mostly family owned, but aren’t my food sources. Places like Kendalls, Clarks Hardware, British American. Oh, and restaurants. I will be putting a restaurant category on that page. Yep, it’s time to do that fall cleaning. Like leaf raking. And weed removal. 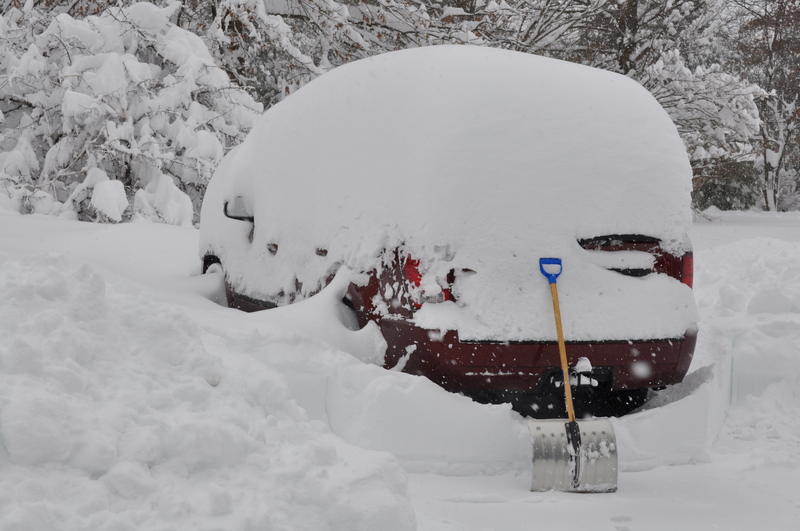 And, putting those wintery things in the cars. Where are those stupid ice scrapers anyway? Just hoping not to find too many days like this. Posted in Farms, Food, Gardening, Local Businesses, Restaurants and tagged cooking, farms, Food, foodie, gardening, howard county conservancy, local businesses. Bookmark the permalink. Would you consider doing a 100 Square Foot Garden challenge next year at home or HCC to see how many pounds and what sort of diversity you can grow in 100 Square Feet? Hi Sharon, I’ll think about it. My home garden is pretty bad due to the amount of shade. As for my HCC garden, I am configuring it into four squares, to make it work for weeding. I think I can designate 100 square feet of it for diversity, but I was planning on one herb garden square. One onion/leek/shallot/cuke square. One “greens” square, which includes peppers. And one tomato square. I find comingling causes problems with moisture tolerant and dry tolerant plants. I might set up one 10 foot by 10 foot section of the home garden, with one plant each of a number of varieties. Just cross my fingers it gets enough sun. For the challenge it doesn’t need to be contiguous. You could choose the following parts of beds for example. Multiple items on a line indicate seasonal changes in the designated area. And this example is created for diversity. Could replace items with other favorites.